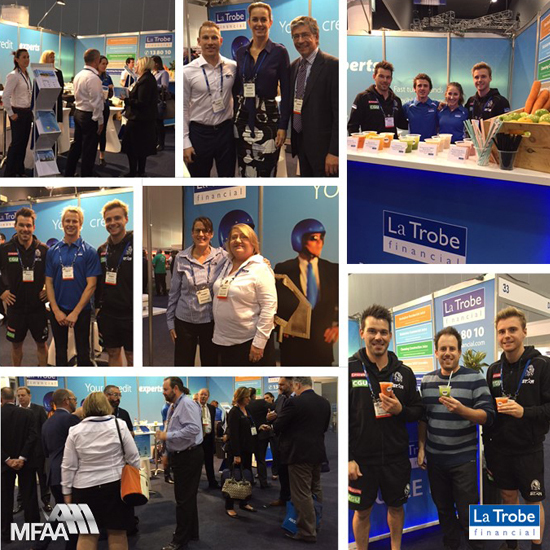 This year’s theme at the MFAA Convention was “think, engage & prosper” and La Trobe Financial certainly engaged in a lot of thoughtful discussions with a number of finance brokers. During our discussions we identified a number of possible solutions that allow finance brokers to prosper and grow their business. 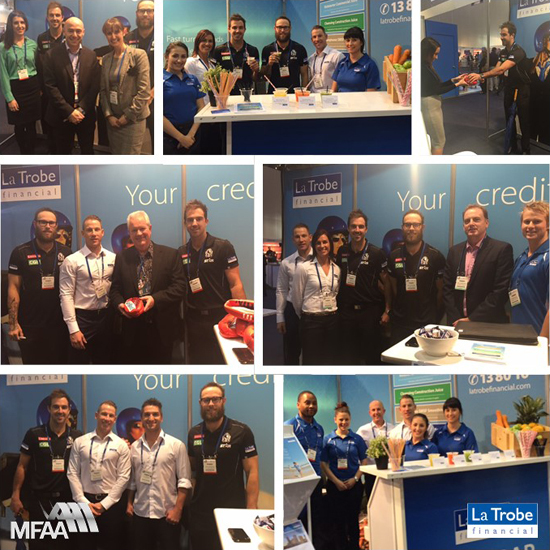 La Trobe Financial’s National Sales Team along with senior members of our credit team were delighted to meet with so many finance brokers, many of whom took full advantage of the opportunity, workshopping scenarios directly with our senior decision makers on the spot. Our Head of Commercial, Mr Steve Lawrence was in high demand, explaining to finance brokers whom have not yet dealt with commercial loans, how they too can add these types of loans into their product offering. Feedback from finance brokers from this opportunity was very positive, as finance brokers look to diversify their business. Our service, and broad product suite is very important to us, as this is what sets up apart from other lenders in the market, and allows us to help you. It was a great opportunity for our staff to develop stronger relationships personally, rather than just speaking over the phone - our staff certainly enjoyed being able to put a face to a name. At Booth 31, we had a lot of fun. There were opportunities to meet and have a picture taken with a number of Collingwood Football Club’s stars such as Levi Greenwood, Ben Sinclair, Steele Sidebottom and Brent Macaffer as well as the chance to win some prizes and giveaways. At Booth 31, we had a number of brokers enter our lucky draw competition with the opportunity to win Collingwood merchandise. Fitting with our standing in the industry as a supplier of fresh alternatives, we decided to provide a free juice bar for finance brokers as a fresh, healthy alternative to tea and coffee. We take this opportunity to thank you for joining us at Booth 31. We appreciate your ongoing support and feedback, and look forward to speaking with you very soon.